The Gulf is well used to the predictability that comes with having 360 days of sunshine a year. Not having to consider the weather when planning barbecues and other outdoor events is highly appreciated by those from more varied climates. However, we also know that in this region, we get an average of five days rain per year. With the build-up of dust and sand on roads through the dry part of the year, some drainage gullies can clog up. As a result, when the rain does come, it can set off a flooding. Given that drivers are not used to such downpours, aqua-planing and other safety issues are a risk. There is also the added hazard of disruption of the road networks. Therefore, drainage systems that transport rainwater efficiently are essential. 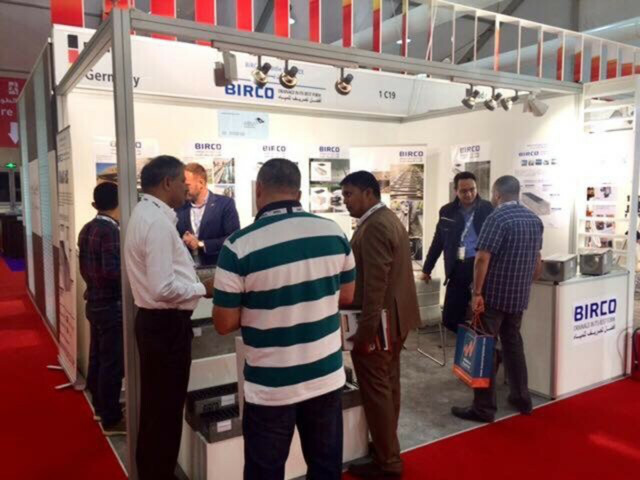 Birco is a German manufacturer of drainage systems with a base in Jebel Ali Free Zone since 2013. Founded in 1927, the family business is led by third-generation Frank Wagner. In 1960, it pioneered drainage systems for the heavy goods agriculture sector, developing a concrete channel and galvanised mesh grating combination, to cope with heavy duty vehicles. Now a full-solutions manufacturer for stormwater, it has a hand in projects such as the Louvre in Abu Dhabi, the Bluewaters island in Dubai, and new tunnels for Sharjah Road and Transport Authority. Drainage systems are a key part of any infrastructure project. When projects are at design stage, architects will always prioritise drainage requirements and then specify their preferred solution. This means that the local Birco office have two different sets of customers. Firstly, they must convince the architect to include Birco systems in their drawings and specifications. By building strong relationships, the team gains credibility to enable that. But it doesn’t stop there. Once a contractor is engaged in a project, Birco then meets with the contract manager to introduce and reiterate the rationale for the architect’s preference for a Birco solution. In some cases, contractors might favour a different brand. Perhaps they have established relationships with a competitor, or they can strike a deal for what appears on the face of it to be a lower priced alternative. Birco must outline to the contractor the long-term benefits and cost-saving of sticking with its solution. If your products are of premium quality, then you most likely have a pricing strategy to support that. Selling against low-priced competitors is a challenge for almost any industry. There will always be a competitor who is in desperate need of a sale and will sell at a lower price than yours. The other issue is that this region has an unhealthy focus on price as if that was the only criteria. You’ll have heard the expression “buy cheap, buy twice”. But how can you compete with such lower priced alternatives? How can you achieve a fair price with a fair margin in a market when price alone seems to be the main driver of a purchase decision? ■ Be clear on your market positioning. After studying the marketplace, decide on a pricing strategy that will enable you to differentiate and make a profit. ■ Know your price architecture. Learn from great retailers that have a “good, better, best” approach to product segmentation. That simply means that in most categories, they will have products at entry price level, mid-level and higher price. For example, Carrefour has “good” fry-pans as an entry price. They have a “better” collection at mid-price and a “best” premium selection. This wider collection enables them to cast to a wider net of customers. If you too can do this, it gives your sales team a structured approach for upselling and handling price objections. ■ Know the USP (unique selling proposition) of all of your products. If your products are premium, be clear on what makes them so. If a customer can’t see the added value of your product, they will assume that you’re expensive. And that just adds to the risk of losing a sale and reputational damage for the business. ■ Communicate the pricing strategy to your sales people. Don’t make assumptions that they know it. Ensure the team understand the context and market positioning of your product edit and pricing policy. Explain the profile of the target customer to them. Dispel any risk that they might have their own inbuilt unconscious bias to price. ■ Then train them on how to sell your products. Show them how to confidently present with conviction, regardless of your pricing policy. Unless you have incredible scale or a significantly lower cost model than a competitor, trying to be the cheapest in the market is a highly questionable strategy. There is usually a competitor that is in greater need of a sale. And they’re often willing to pay for that with lower prices. For many of us, it’s just not sustainable with costs rising continuously. A realistic and fair margin of profit is essential after all. There is nothing wrong with premium pricing so long as your proposition matches or exceeds what the customer deems to be value for money. By the way, it’s important to not confuse this point with unscrupulous companies that try to charge high prices for poor quality. But in my experience, it’s not a sustainable business model and they get found out eventually. After all, the general market is a good long-term arbitrator of the quality/value/price question. One way or another, study the market and make an informed decision about your positioning. Then communicate that to your team so that they can sell with confidence.